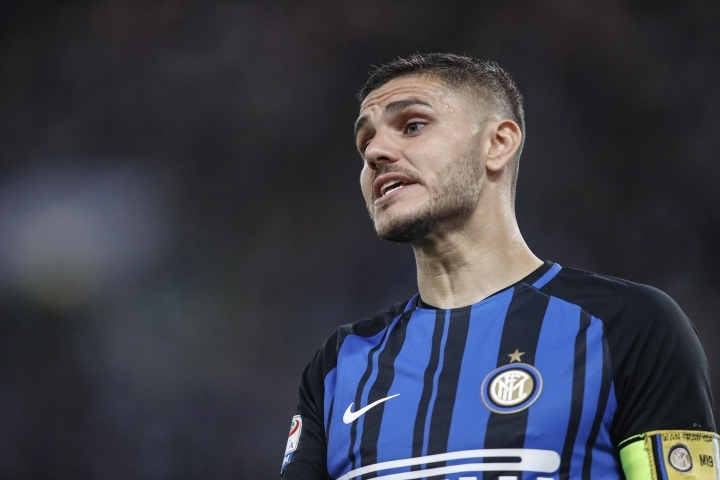 BUENOS AIRES, Argentina — Serie A co-top-scorer Mauro Icardi was left out of Argentina's World Cup squad on Monday. Icardi, also the Inter Milan captain, was the most notable absentee from coach Jorge Sampaoli's 23-man list. Manchester City's Sergio Aguero, who has not played since March and is recovering from a knee operation, was picked. 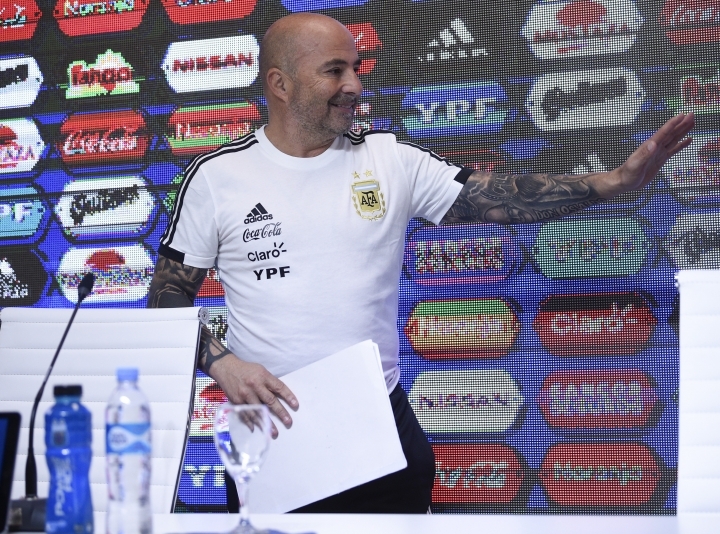 Sampaoli said in a news conference his choices were based on "players that can do many functions to give us different characteristics." "Those players in the final list are closer to the idea we are implementing. They are closer to the opposition's goal line than to their own." 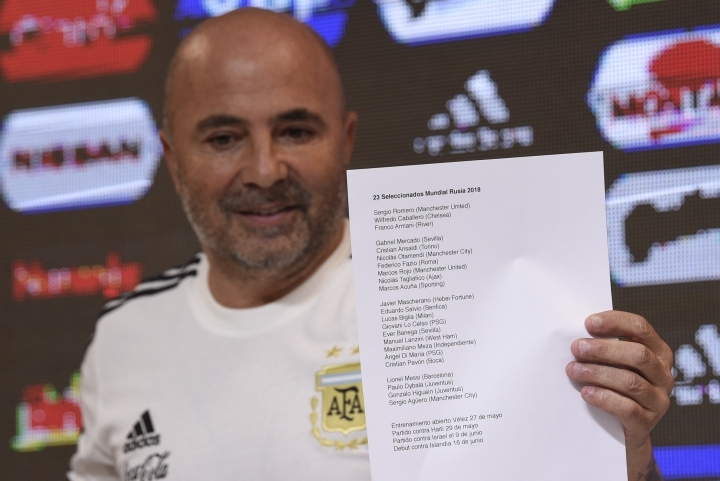 Icardi was part of Sampaoli's preliminary list of 35 players announced on May 14. He scored 29 goals in Serie A, one of them on Sunday when Inter secured a spot in the Champions League for the first time since 2012. Aguero had a great season with English Premier League champion City, scoring 31 times until he was injured. It is still uncertain when he will be back in action. Also injured, defender Gabriel Mercado and midfielder Lucas Biglia were in the squad. Mercado's injury opened a door for Torino left back Cristian Ansaldi, who can also play on the right. Asked about the risks of taking recovering players to the World Cup, Sampaoli said he will take full responsibility for his choices. "We need to face the World Cup without fear," he said. "In this list there are players with a lot of skill. The ones that understand our game better will be closer to being starters." Argentina is grouped in Russia with Iceland, Croatia and Nigeria. Defenders: Cristian Ansaldi (Torino), Gabriel Mercado (Sevilla), Nicolas Otamendi (Manchester City), Javier Mascherano (Hebei China Fortune), Federico Fazio (Roma), Marcos Rojo (Manchester United), Marcos Acuna ( Sporting Lisbon), Nicolas Tagliafico (Ajax). Midfielders: Cristian Pavon (Boca Juniors), Maximiliano Meza (Independiente), Angel Di Maria (Paris Saint-Germain), Giovani Lo Celso (Paris Saint-Germain), Manuel Lanzini (West Ham), Ever Banega (Sevilla), Lucas Biglia (Milan), Eduardo Salvio (Benfica). Strikers: Paulo Dybala (Juventus), Gonzalo Higuain (Juventus), Lionel Messi (Barcelona), Sergio Aguero (Manchester City).